My latest DVD review will be going up this afternoon at Lost in the Movies. 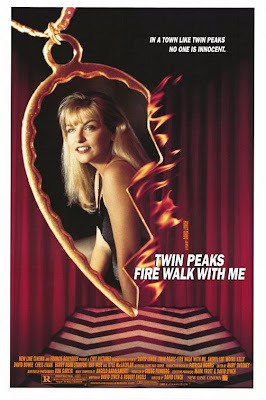 In the mean time, stroll through the strange world of David Lynch. Most of the posters are actually not that weird, though the best of them suggest something intangible and haunting beneath the surface. 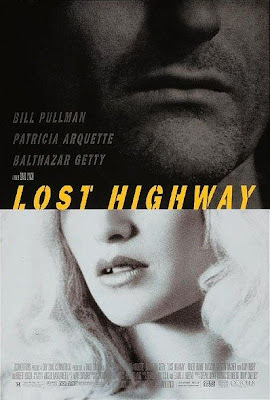 The one for Lost Highway is the most evocative, but you're right, they don't shout strangeness. They whisper it. 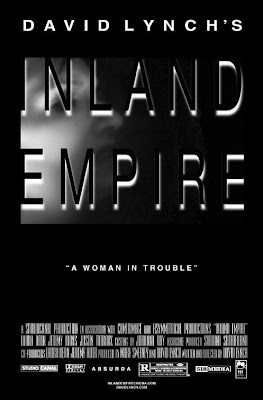 Inland Empire is the weakest poster here and Fire Walk With Me the most disappointing. Quite a poster celebration here! INLAND EMPIRE is very plain, but there might be some deliberate irony. Lunch never shows his hand! Ha! *Correction: Lost in the Movies DVD review will NOT be going up at noon, but rather later in the afternoon/evening as will always be the case from now on every Wednesday. Right in both cases - that they whisper it and that there might be some deliberate irony. 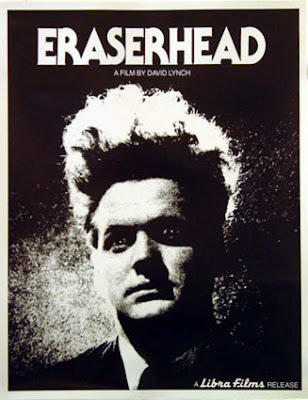 Another irony is that, though a painter, Lynch doesn't seem to have taken much of a hand in his poster design. 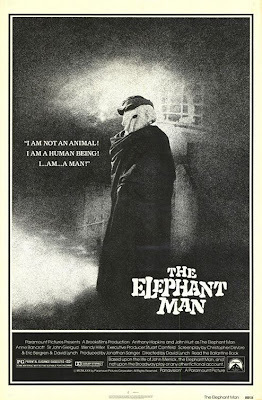 For as much as I enjoy his movies, his posters always seem rather quaint. The overseas versions are far better. Agreed - I almost included the one for Blue Velvet but it seemed too out of place, so I went with the less bold American one. Yeah, I would agree that the overseas posters for most Lynch films are superior - esp. 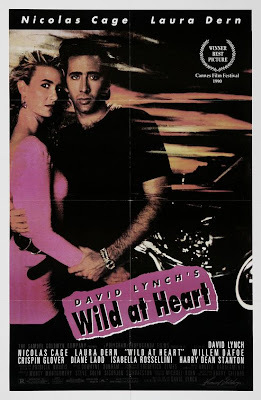 for WILD AT HEART and FWWM. That being said, I do like the classic simplicity of the BLUE VELVET one. 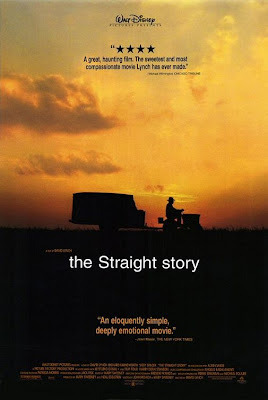 And I always enjoyed the Terrence Malick vibe on THE STRAIGHT STORY poster. 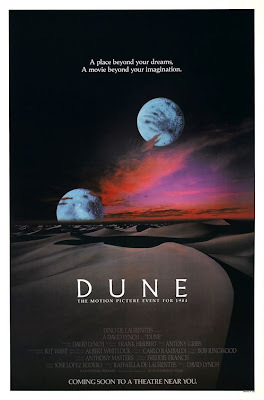 I'd go so far as to say Straight Story might be my favorite, though I like the colors on Dune a lot too. 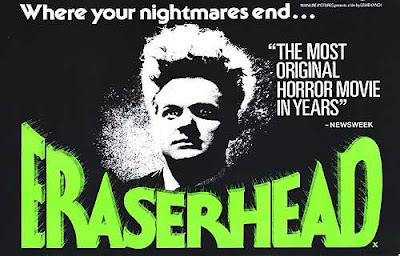 Eraserhead's certainly the most iconic. I'm with J.D. on this. BLUE VELVET and STRAIGHT STORY, and I'd also throw in Stephen's LOST HIGHWAY. Another intersting topic would be Lynch trailers. 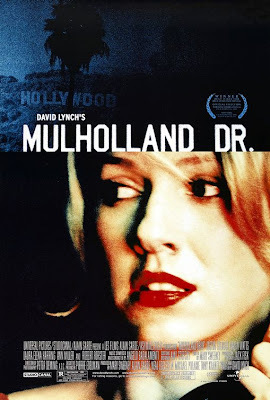 The only one that comes to mind is Mulholland Dr. I saw that one on TV and was completely transfixed, though for some reason I never ended up seeing it until it was on DVD. I wonder if the appeal of that ad was down to its own positive qualities, or just that of the movie showing through.